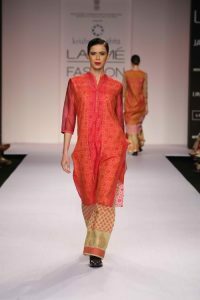 Here we share with you Krishna Mehta Latest Summer Resort Collection 2014 at Lakme Fashion Week. Krishna Mehta is a creative designer and lead their brand with the name of “Krishna Mehta” and established in 1988. In 1989 she launched first time her menswear collection which gained a huge fame. 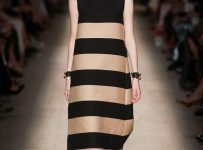 Her perfectly cut and stunning finished lines give a respected name in men’s fashion. 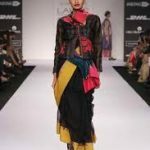 In 1991 Krishna Mehta showcased her women clothing line with the name of indo western fusion lines. This brand franchisee stores are available in Ensemble, Baroda in Mumbai and Delhi along with at all Be, stores in India and Dubai. 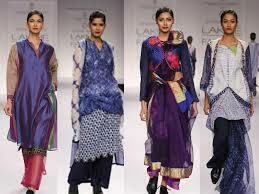 Recently this designer has launched their new unveil collection at Lakme Fashion Week Summer/Restore 2014. 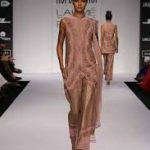 In this new collection designer showcased a contemporary clothing line and also use woven fabrics in her new age collection at LFW Summer/Resort 2014. 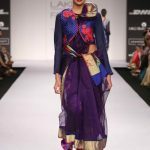 This is a right place where one can find out the latest looks of Krishna Mehta new collection which she has launched at Lakme Fashion Week 204. 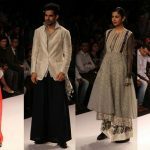 Contemporary clothing line consists of flared skirts, fluid pants, cool blouses, comfy tunics, swirling scarves long sleeves tops, loose pyjamas, gowns and men’s wear had cropped pants, kurtas, jackets, bundgalas and pants. 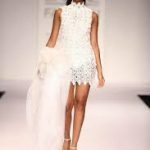 Designer used basic colors in her collection just like black, white, red, grey, orange, aqua, and fuchsia, purple, indigo and many more. 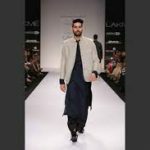 Here we display various stunning and elegant looks of this new contemporary clothing line so must check out this page.